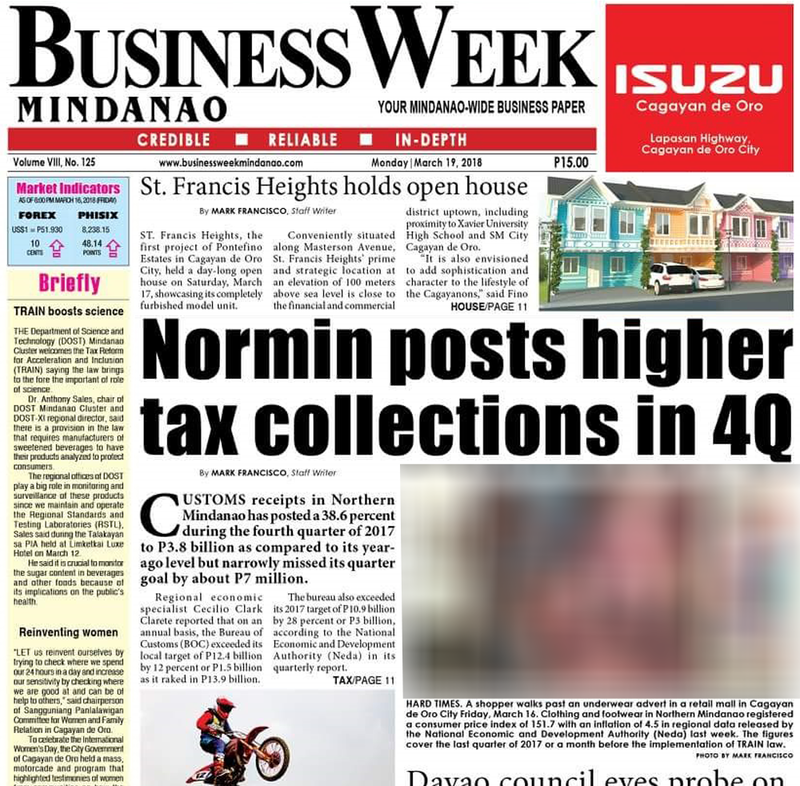 St. Francis Heights holds open house featured in Business Week Mindanao. “St. Francis Heights is flood-free, breezy and close to nature. We will surely deliver value for money products with quality. This upscale development gives focus to a well-balanced and holistic lifestyle through open spaces and varied exclusive amenities that engage residents to enjoy the routine of personal health and self-care,” Flores added. One corner unit has a total floor area of 99.65 square meters while one-mid unit has a floor area of 98.41 square meters. It has its own living room, dining room, kitchen, toilet and bath, maid’s room, carport, master’s bedroom, master’s toilet and bath, two extra bedrooms, a common toilet and bath at the second level and a hallway.